Robots can be used to help in situations where it would be dangerous for a human. Some examples include investigating and diffusing bombs, working in factories making cars, and in specialist laboratories handling dangerous substances. To interact fully with our world robots need ‘hands’ to pick objects up, move them and put them down. Some move like human hands and some are more simple. Watch Video 1 to see an example of a robot being used in a laboratory to handle infectious diseases. You task is to make a robotic hand that can pick up and move a cup of ‘dangerous’ liquid, weighing at least 250 grams. You will make a prototype to test the mechanisms, then design and build a more robust hand to pick up and move the liquid. Your design process will be in two stages. Use the document, “How to make a mechanical robot hand.pdf”, to help you make a prototype robot hand. You will learn about the mechanisms required and how these are similar to human hands. You can also watch Video 2 to see an example of the hand being moved. 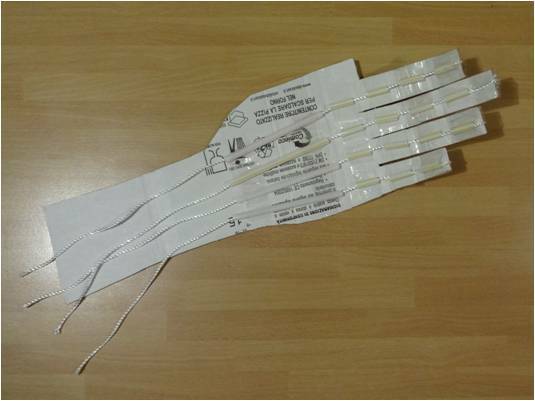 Can you see the nylon cord ‘tendons’ pulling the fingers to bend them? Wiggle your fingers and you will see the tendons in your wrist moving! Watch Video 3 to see NASA’s Robonaut2 moving its fingers. What are the similarities to your prototype in how it moves? After you have successfully created your prototype hand you need to create your own version which is capable of picking up the cup of liquid. Try picking up a cup of liquid with your prototype to see how much weight it can carry. How well does it work? Which parts of the prototype robot hand do you need to change to the make them more robust so they can pick up at least 250 grams? How big should your new robot hand be? What material should you make the hand out of? Thicker cardboard, plastic, wood, metal? Watch Video 4 to see an example of a metal hand created using the same method as your prototype. Will the rubber bands be strong enough to hold the weight? Should you also make a different shape cup that the robot can handle more easily? You have now created two mechanical robot hands; and hopefully will have lifted the dangerous liquid too! We will start to see robots with hands like this being used even more in industry, perhaps in our homes and schools too. Look at the Guardian and BBC news links to see that it is now even possible for human beings to be fitted with robot hands. 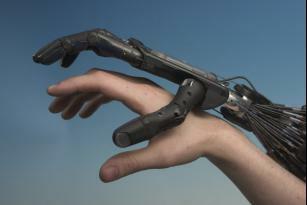 To be able to design and make a cardboard mechanical hand with moving fingers. To be able to adapt a previous design to a more advanced purpose.